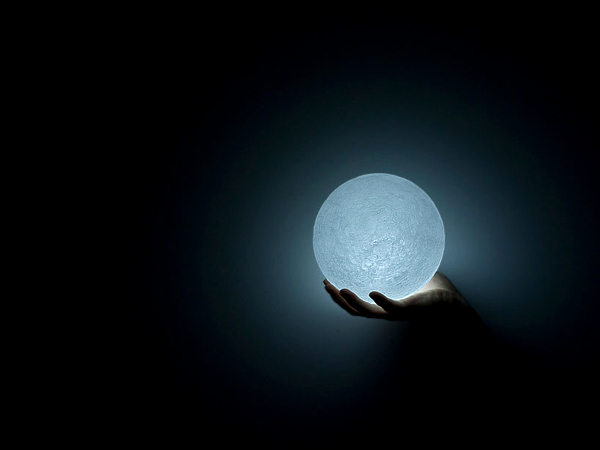 Inspired by the recent “Supermoon” – the biggest full moon in a cycle of 18 years – product and graphic designer Nosigner (Eisuke Tachikawa) has designed an LED light lamp. For the creating this lamp Nosinger has used actual 3D topographical data taken from the lunar orbiter Kaguya. The Moon Light replicates exactly the craters and surface of the actual moon. Amazing lamp! The moon belongs to Chile. No one can buy it cause it´s no for sale. Like many others, I want to know where I can buy it! Shoot, I’d be happy just to have a desktop wallpaper of some of those pics above. Awesome! Would love to buy LED in it ? Where can you buy this from???? I want it for my boys room. love the moon light added to my wish list. HOW MUCH IS THAT MOON LIGHT AND HOW LARGE IS IT IN INCHES NOT THE METRIC SYSTEM PLEASE AND THANK YOU. We have a saying for beautiful things like this. Gai kukken afen yam. It very roughly means Great are all who admire beauty. So next time you see a beautiful object just say – Gai kukken afen yam. It’s the same thing with this ‘Moon Light’ here on this page! Where in hell is it? You are a negitave winging t****r of the first dimension. Get a life. Go play with yourself. calm down. it’s a concept. not everything needs to be ready to be purchased. Oh I desperately want one of these. When and where will it be for sale? is it for sale?? how much is it and where can i get it?? Where can I buy it and how much is it? is there any way i can have it? Can I buy this lamp?